Welcome to the next installment of The Seven Questions Series. Thanks to Jessica Kristie for being my guest! 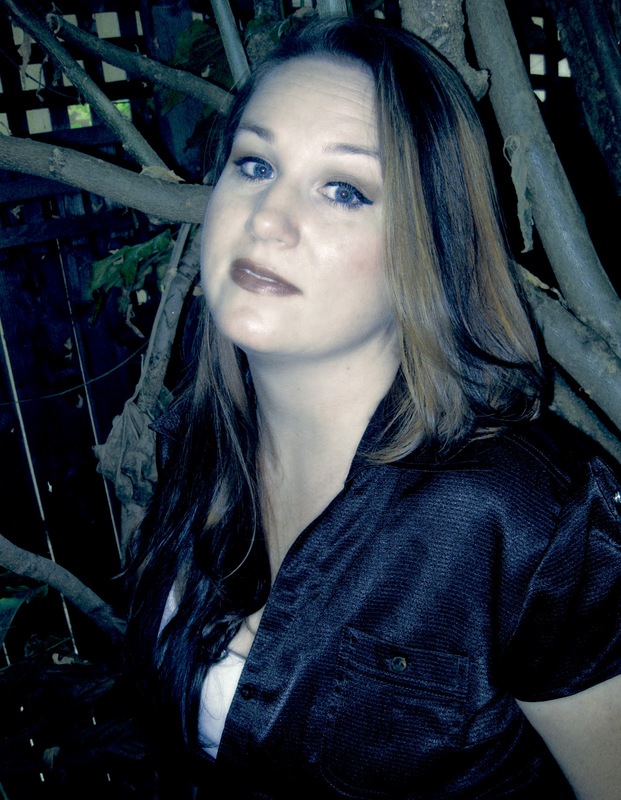 Born and raised in the California Bay Area, Jessica discovered her passion to write at the young age of ten. She regurgitates her heart and mind, sometimes in structure and sometimes in free flow, as a way to heal and understand herself and those around her. Jessica’s inspiration comes in many forms, often inspired by just a word or quickly fleeting emotion. Through years of writing she has been able to capitalize on her experiences, whether they are painful or joyous. Inside each of these moments lies a grand piece of her history. They are a documentation of much of the pain life has to offer, and the hopeful bit of empowerment required for survival. She hopes to draw you close to her world through shared emotion while inspiring you to forgive, remember, and heal. 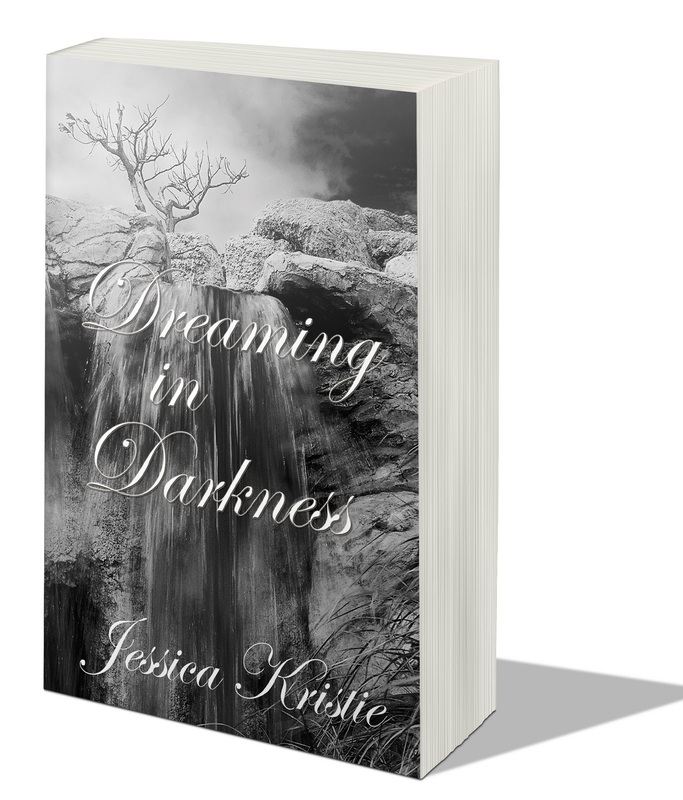 You can find Jessica’s first volume of poetry and prose Dreaming in Darkness at Winter Goose Publishing. She has several other projects in the works including a second book of poetry and her first novel. You can follow her at JessicaKristie.com for updated information. When I first began writing at the tender age of about 12, I wrote poems. Some very bad poems. Over the years, as I explored fiction in the form of flash fiction, short stories and novels, I wrote an occasional poem. About five years ago I attempted to write a nature poem. I took it to a critique group, edited it, sent it to a poetry contest, received a kind rejection letter. Since becoming hooked on nonfiction writing, I haven’t written any poems, but I still love to read poetry. I admire poets because it’s nowhere near as easy as it looks to write a poem. It’s hard work and craft and just as much editing as any other form or writing, if not more because the language in a poem is so much more precise. I love to read poetry because I find it inspiring, especially when I’m stuck. To read poetry is to free and loosen up your mind. A writing exercise I’ve tried (courtesy of Natalie Goldberg) is to take a line of poetry and use it to start a timed writing session. It’s a terrific technique to get yourself going. I’ve also read in several places that it’s helpful to read some poetry before you start writing. Poetry is pretty. Poetry is fascinating. Poetry makes you think and reflect. Jessica Kristie’s Dreaming in Darkness made me remember all the reasons I love poetry. Her poems are gorgeous snapshots of emotion, some of it quite painful, but she leaves room for healing, love and forgiveness, and I finished her collection with a sense of hope. I’m also a huge fan of prose poetry and loved the prose poems in the last section of her book, “Moments – Prose Poetry.” The first poem in the book, “Behind my Breath,” felt like a punch in the stomach that makes it hard to breathe for a minute. I could not believe how much I related to it, and I read it over and over, so amazed was I at how perfectly Jessica’s words described my situation. I think that’s the best part about poetry. The poet writes from his/her vantage point, and the reader reads from an entirely different vantage point and it resonates because of the universal theme from the poem. I love this poem so much I asked Jessica if I could share it in this post, and she kindly said yes. there is a space that isn’t there. eternal forgiveness – is real. Still this blank page, words won’t fill. Beyond my faith, pain stand still. find what I have lost. But I no longer wait. What I strive to be. I highly recommend this book for your poetry library, or as a gift for the poetry-lover in your life (today is Black Friday, after all, and the kick-off to the holiday shopping season). It’s available in paperback and as an e-book. The Chipper Writer: Tell us how you came to be a poet. Jessica Kristie: I believe school helped me discover the wonders of poetry and writing. Poetry immediately caught my attention at the age of 10, when I wrote my first piece. Ever since then, poetry has worked as a place to lay my emotions down and a healer for many aspects of my life. Poetry creates a greater understanding of the human condition and gives me different eyes to see with. TCW: Tell us a little bit about Dreaming in Darkness and what inspired you to write it. 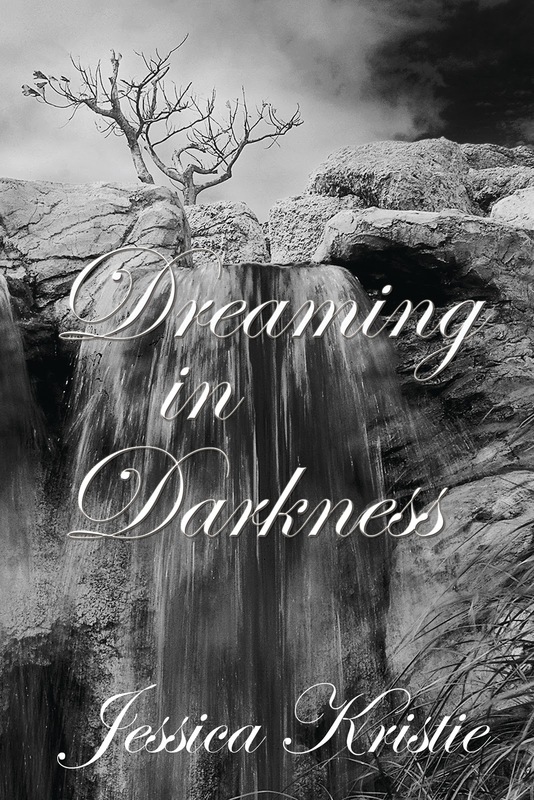 JK: Dreaming in Darkness is my first collection of poetry and is not subject to any one theme. It contains work of mine from the last four or five years. The book covers every facet of human emotion, and I believe every reader will be able to relate and take away something from it. TCW: I enjoyed the prose poetry section of your book. Can you talk a little bit about prose poetry and how it differs from the other poems in your book? JK: My prose poetry falls under a different form that relates more with a Spoken Word style. It is poetic verse that reads as less of a poem form than most people might be familiar with. Each piece is followed by a standard poem. This style came to me about a year and a half ago with my first piece “Remembering Closure” (which is in Dreaming in Darkness), and it changed me. I really enjoyed writing in this way and it has really allowed me to hone my skills as a writer and a poet. TCW: Can you walk us through your poetry writing process? JK: The need to write bubbles up in me and I have to get it out. I carry a pen and paper wherever I go and write down words and phrases that inspire me. I rarely force myself to write, and work hard at building my inspiration through all interactions and things around me. Every day I listen for things that may strike me, and always take time to write them down. When I write, I just let it go. I go back and edit as well as let each piece sit for at least a day. I always try to have another set of eyes take a look at my work that I want to post publicly. TCW: What is your writing schedule like? JK: My writing schedule is not set, but I do make time for it always. I write all day and whenever the need arises. I have been blessed the last year to put most of my time and heart into writing. It is amazing how much more you learn and become polished once you have the opportunity to put serious time into it. TCW: What are you working on now? JK: My second book is being queried as we speak to several publishers and I am half-way through my first novel. I am also working on a collaborative book with a fantastic poet and have several other projects in the works. You can always check my blog JessicaKristie.com for updates and fresh poetry and prose. TCW: What advice would you give to aspiring poets? JK: Try many different forms and ways to write your poetry. Don’t get stuck on the technical stuff, and just write. You will find the way that really flows with your creative spirit and then you can hone that skill. Know your weaknesses and your strengths. You have to be able to take constructive criticism as a poet or any sort of writer. If you are unable to hear what others have to say, then you will never grow. Sometimes it stings, but you must listen. Don’t always take it to heart, but always listen. You may hear something that helps you become the fantastic writer you always knew you were.